BARBARA S. MILLER is a principal of Brody Wilkinson and is a member of the firm’s Business, Real Estate & Land Use, and Trust & Estates Groups. Ms. Miller represents businesses and individuals in contract formation and negotiation, as well as business and probate disputes. Her goal is to achieve cost-effective results that meet the specific needs of each client. Ms. Miller also counsels clients in the areas of environmental and employment law. As part of her environmental law practice, Ms. Miller advises clients on a wide range of transactional and regulatory matters, including due diligence, risk allocation, permitting and remediation. 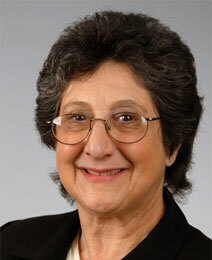 Ms. Miller has published articles and spoken at seminars on the subject of environmental law. She is admitted to practice in Connecticut, the U.S. District Court for the District of Connecticut, and the U.S. Court of Appeals for the Second Circuit. She is a member of the American and Connecticut Bar Associations, and serves on the Executive Committee of the Environmental Law Section of the Connecticut Bar Association. Ms. Miller received her B.A. from Yale College in 1972 and was a member of the first class of women admitted to the college. She received her J.D., with high honors, from the University of Connecticut School of Law in 1977. Ms. Miller’s volunteer activities have included the Bridgeport Chamber of Commerce, Visiting Nurse Services of Connecticut, the Connecticut Zoological Society, and leading canoe trips for the Appalachian Mountain Club. She lives in Orange, Connecticut, with her husband, Kevin Hannon. Law Firm Contact: Thomas J. Walsh, Jr.